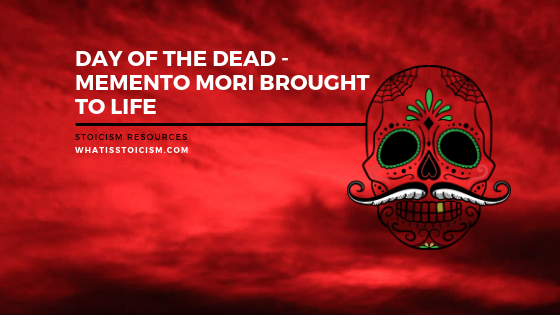 Day Of The Dead - Memento Mori Brought To Life - What Is Stoicism? In his Meditations, Marcus Aurelius wrote, “You could leave life right now. Let that determine what you do and say and think.” This Stoic reflection on the impermanence of life is known as Memento Mori, which is Latin for “remember you will die.” It’s a constant reminder not to take your time on earth for granted and not to worry about things beyond your control. It’s not, however, just a thought to keep in mind for the introspective person sitting pondering alone. 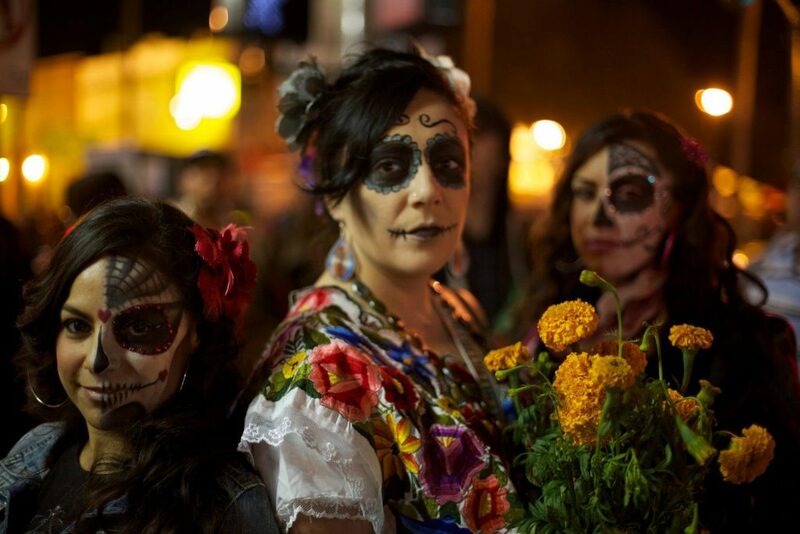 The Day of the Dead is celebrated throughout Mexico, however some regional variations exist. In the Mexican state of Aguascalientes for example, the Festival de Calaveras has been running since 1994. This “Festival of Skulls” draws from the Day of the Dead traditions as well as paying homage to José Guadalupe Posada. A quote from Stoic philosopher Epictetus serves the same purpose – “You are a little soul carrying around a corpse.” In both cases we are made acutely aware that no matter how different our lives are to one another, we all end up the same. Some of Posada’s works were used to accompany “literary calaveras” – short, humorous poems, which were often sarcastic tombstone epitaphs that poked fun at the living. These compositions further demonstrate the close, even jovial, association to death of those celebrating the Day of the Dead. After reading some examples, you might even have some fun trying it yourself. No more will he squirm. Which is bad for a worm. Let no frown cloud your face. Believe me, he’s gone to a happier place. One of the most prominent icons of the Día de los Muertos and the Festival de Cavaleras is La Calavera Catrina. The symbol began as a zinc etching by Jose Guadalupe Posada depicting a female skeleton in an elaborate hat, which he called Calavera Garbancera. As Posada’s art often did, it satirised Mexican society’s emulation of European sophistication. 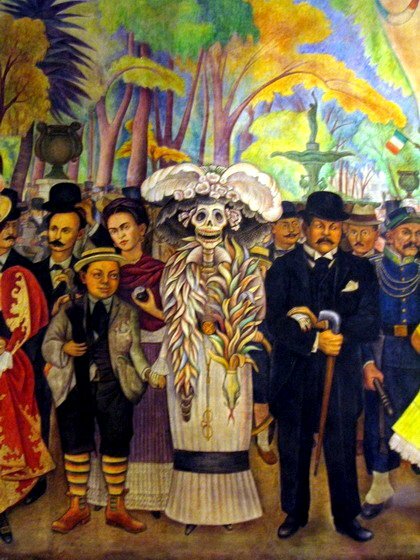 In 1947, artist Diego Rivera featured Posada’s skeleton in his mural “Dream of a Sunday Afternoon in Alameda Park”. 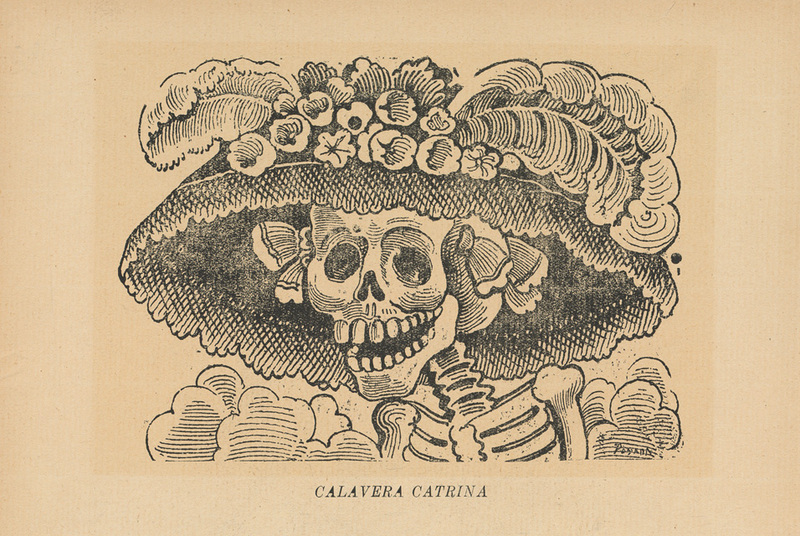 Rivera called his creation Catrina, meaning “the rich”. Today the Calavera Catrina, or elegant skull, is synonymous with the Day of the Dead. Skulls and poems, skeletons and festivals, food and murals. A lot of people go to a lot of effort to remind themselves of death while honouring the dead. As grim as that sounds, the reality is not as morbid as you might expect. The poems are humorous, the festivals are fun and the murals are colourful. The same goes for the practice of Memento Mori. The intention is not to feel sad that life is short, that we all die. It is to remind us that although we’re all headed to the same destination, we should enjoy the journey while it lasts. And don’t wait until someone’s gone to have a meal with them. Get some easy tips on adding Stoicism to your daily routine! By clicking "Send Me Tips!" you are happy for us to send updates via email. You can unsubscribe any time using the link in the footer of any email from us.